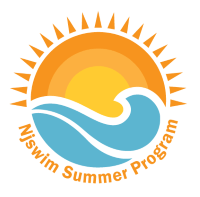 Njswim’s classes are one half-hour long, once per week, unless otherwise noted. All students will be evaluated prior to a session and placed in a class that is appropriate for his or her swim level. Swim levels may change over time and class times may need to be adjusted accordingly. In the event that a teacher cannot make a scheduled class, a substitute teacher will teach the class. Classes canceled due to weather conditions or facility closings will be rescheduled by the Njswim office accordingly. Your family will have a reserved time slot for a weekly swim lesson. It is your responsibility to attend each scheduled class. Classes will begin promptly at the time scheduled. Please arrive on time and be ready to swim when your scheduled class begins. Instructional swim apparatus will be provided. Please do not bring floatation devices or toys to the sessions. Please prepare your child and have him/her ready with their bathing suit on under their clothes when you come to the pool. To eliminate distractions and ensure maximum results during their session, we ask that parents remain in the viewing area during their child’s class. A parent or caretaker is responsible for the supervision of their swimmers, and non-swimmers before and after classes. Parents must remain in the building at all times during lessons. Food and drink are not allowed on the pool deck due to State Health Code Regulations (baby bottles and sippy cups are permitted). Program participants must wear appropriate swimming attire. There is no running on the pool deck. Parents must supervise their children at all times. Do not allow siblings to run and horseplay on the pool deck. No Strollers are allowed on the pool deck. Please park them in the lobby. Warren – Building opens for Njswim participants promptly at 3:45pm and closes promptly at 7:15pm. For the safety and health of your children and our teachers all students under the age of 3 are REQUIRED to wear a reusable cloth swim diaper, even those who are potty-trained. Swim diapers need to have tight fitting elastic legs and waist. They are available for purchase at all of our locations. We do allow disposable swim diapers in the pool under the cloth diaper if you choose to “double diaper”. Tuition is charged monthly on the 1st of each month, automatically by credit card. Please click on the button below to view our billing calendar. We offer makeup lessons for missed classes due to illness or injury only. In addition to our makeup policy, we issue two “vacation makeups” per annual enrollment, per student. Vacation makeups are two missed classes for reason outside of illness or injury, that can be rescheduled. If your child(ren) are going to miss swim class, please notify the office. Makeup classes can be scheduled through the office at any time. However, upon scheduling, a makeup class cannot be booked further than 7 days in advance. Makeup classes can be scheduled in other class days/times with availability, in your child’s swim level. In addition to your notification, we will be taking attendance daily. We work on a rolling membership, meaning once your child is enrolled, he/she will swim uninterrupted from month to month until or unless a written notice of cancellation is submitted to your Njswim office no later than the 10th of each month, for the upcoming month (for example July 10th for August cancellation). Notice of cancellation forms can be requested through the office. We understand that things do come up and schedules do change. We greatly appreciate the cooperation of our families by adhering to our cancellation guidelines. 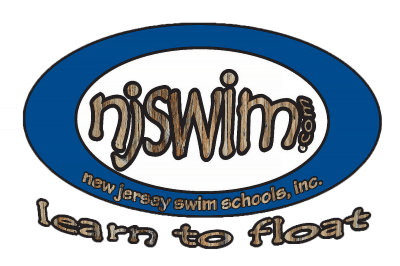 Any active Njswim family who refers a new member who enrolls in a class will receive a $25 credit on your account for each new family who joins. Credit may be applied toward future lessons or merchandise.